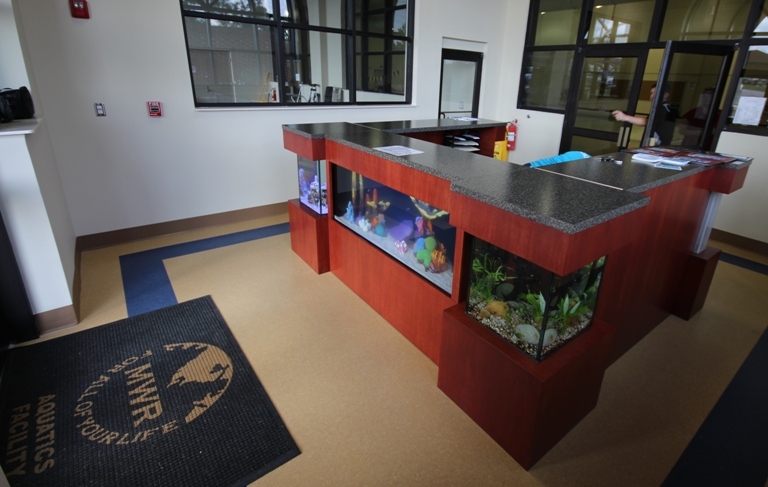 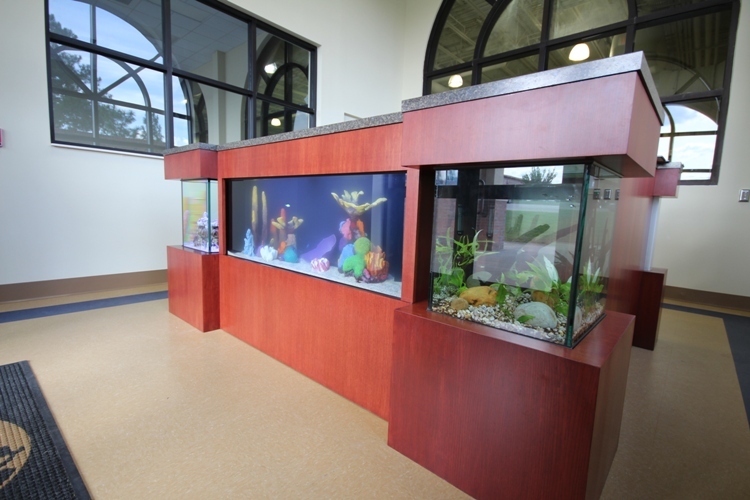 The Three exhibits in this 11 ft x 9 ft desk are: one 30 gallon fresh water planted aquarium, one 30 gallon saltwater reef aquarium and the center aquarium is a 100 gallon saltwater fish exhibit. 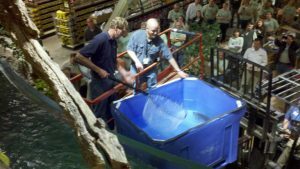 Nine livewells containing the exhibit fishes were shipped from Bass Pro Shops Corporate Center in Springfield, Missouri to the new Bass Pro Shops in Cary, North Carolina. 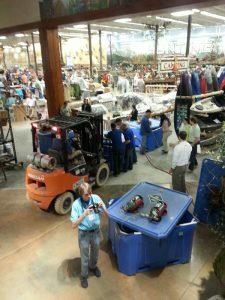 The trip took three days by truck. 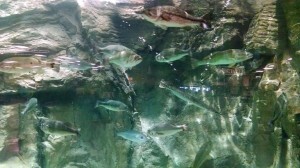 All the fish made the trip without any difficulties. 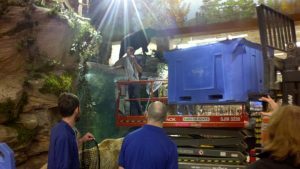 ACG Staff were ready to move them from the livewells into the 15,000 gallon aquarium exhibit. 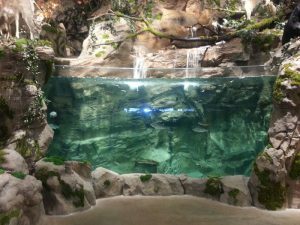 Each livewell was forklifted up to the top of the tank and then the fish were netted out of the wells and placed into their new home. 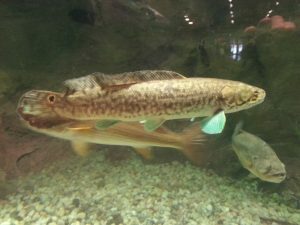 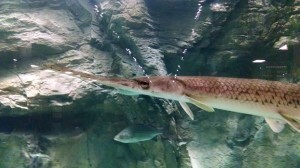 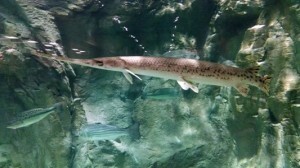 Exhibit fish species include: Largemouth and Smallmouth Bass, Longenose Gar, Shortnose Gar, Bowfin, Bigmouth Buffalo, Redfish, Channel Catfish, Crappie, Walleye and Bluegill. 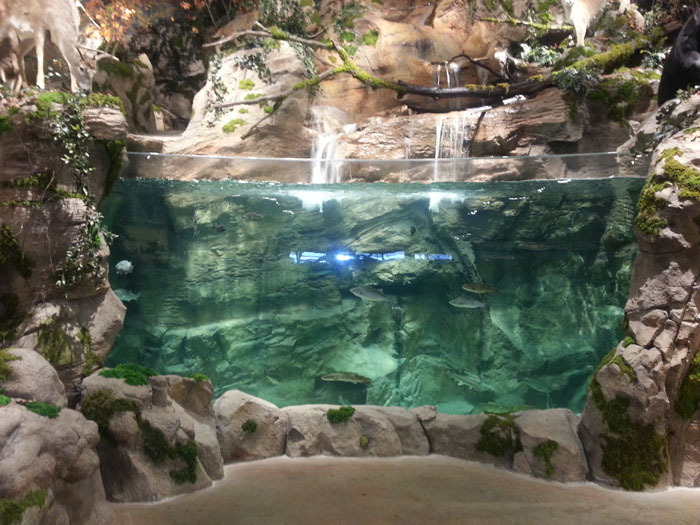 The star of the exhibit is “Miss Anita” the double digit Largemouth Bass. 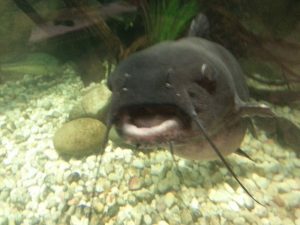 She weighs in at 11 lb 3 oz. 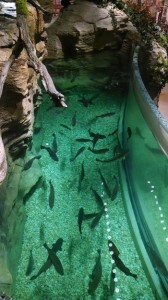 Putting fish from livewell into tank.